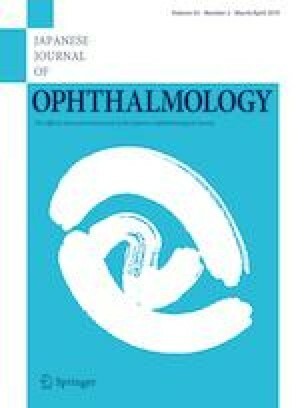 Hospital-prepared topical ganciclovir eye drops made from intravenous infusions are used to treat cytomegalovirus corneal endotheliitis. This study assessed the efficacy of these eye drops. Ganciclovir solutions (0.5% and 1.0%) prepared by diluting DENOSINE® IV Infusion in saline were stored light-shielded at 4, 25, or 37°C for 12 weeks. Every two weeks during storage, macroscopic evaluation was conducted and ganciclovir concentrations were determined by high performance liquid chromatography. Ocular surface toxicity and corneal ganciclovir concentrations were evaluated following topical instillation of ganciclovir solutions in rabbits. Ganciclovir solutions maintained transparency for 6 weeks, with precipitation appearing after 8 weeks. Ganciclovir concentrations were maintained at ~100% for 6 weeks at 4°C and 25°C and decreased gradually to 90% after 12 weeks. At 37°C, ganciclovir concentrations decreased linearly for 12 weeks. Rabbit eyes showed no ocular surface toxicity. Following instillation of 0.5% ganciclovir solution, endothelial ganciclovir concentrations were 28.0 µg/g at one hour and 4.3 µg/g at three hours. Ganciclovir eye drops seem to be safe and penetrate the corneal endothelium. The drug in eye drop form is chemically stable for up to 6 weeks. Eye drops’ development for approval by regulatory authorities, especially with improved long-term stability, is anticipated. The authors thank Mr. Hirofumi Imai and Mr. Tetta Kurosawa for technical support. The authors thank Scribendi.com for their professional English editing service. This study was supported by the Program for the Strategic Research Foundation at Private Universities from MEXT (Koizumi N and Okumura N). N. Okumura, None; T. Tanaka, None; Y. Fukui, None; N. Koizumi, None.